TEL AVIV – An American student, the granddaughter of Palestinians who was head of a chapter of the anti-Israel groups Students for Justice in Palestine, is appealing to an Israeli court for being refused entry into Israel over her alleged activities in the boycott movement against the Jewish state. 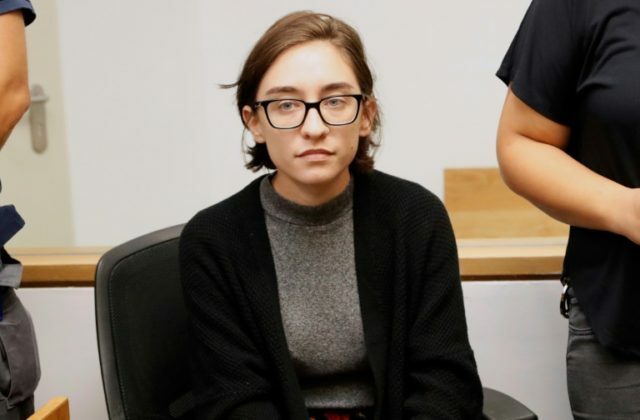 Lara Alqasem, who arrived on Tuesday with a valid student visa and was enrolled to study human rights at the Hebrew University of Jerusalem, has appealed the decision Thursday before a court in Tel Aviv. She is being held at Ben Gurion Airport while she awaits the judge’s ruling. Israeli authorities said the 22-year-old is free to go back home to the U.S. Alqasem was also told she must renounce any involvement with the Boycott, Divestment and Sanctions (BDS) movement if she hopes to be allowed to enter the country. Alqasem is the former president of the University of Florida chapter of SJP, a rabidly anti-Israel campus group. Ben-Hillel was responding to a charge from the state’s lawyers saying that she’d marked “attending” on two events hosted by SJP but the pages had been deleted since. The site claimed that she was involved in a 2016 event calling for the boycott of Sabra Hummus, partly an Israeli company, in which baseless accusations of Israel’s “apartheid” policies and “ethnic cleansing” were made. Hebrew University, which joined Alqasem in her appeal, said that denying her entry was only causing more damage to the anti-boycott cause. Foreign students should be encouraged to spend time in Israel so that they could assist in the fight against the BDS movement on their return home, the university said. Strategic Affairs Minister Gilad Erdan (Likud) said Students for Justice in Palestine is an extremist organization. “We don’t want to see their activists coming to Israel and trying to use our infrastructure to harm us and destroy us,” he said this week. Lior Haiat, the consul general of Israel in Miami, told the Miami Herald that he couldn’t understand why someone seeking the boycott of Israel would wish to study in the country.